How to draw lips or mouth. This is a video tutorial on how to draw girls or woman’s lipes. This easy to follow tutorial will show you how to draw a mouth, upper lip and lower lip, and how to shade with a traditional pencil. Step by step images also includes below. 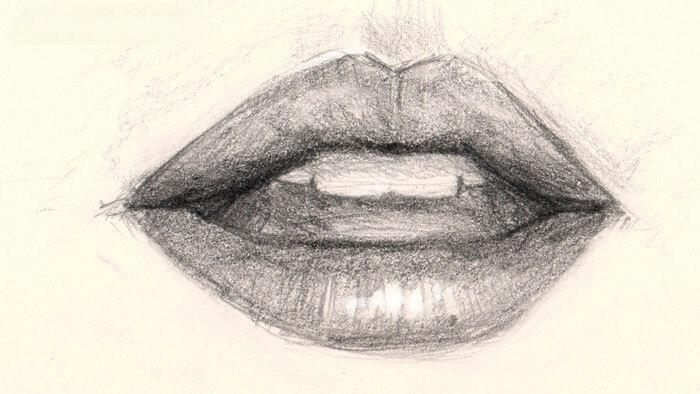 There have been many requests for drawing female lips tutorial. So I made one. I don’t usually study individual parts of the body. But I found that it’s good observe how lips and individual body structure. I usually place them half way between nose and the bottom of the chin. Remember, when you put the individual piece in slightly different distance, the look changes. Also if lighting is in different angles, you will have to paint or draw according to the light source and what you really see (shape and form), not what you think you see or know about lips. In some contexts, the mouth and lips may no longer look like what you imagine they would; you will just have to illustrate what you really see and try to capture the shape and value, instead of trying to draw a mouth or lips. This tutorial on lips assumes the light is coming from directly above and in front of her face. 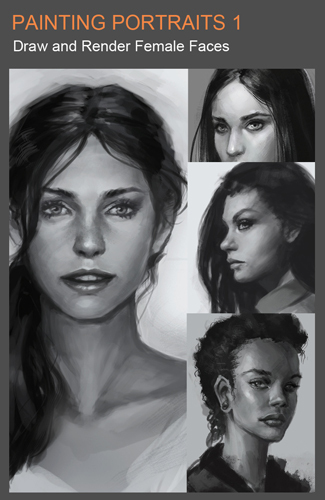 If the light changes direction, the lips should be drawn and rendered differently. However, don’t worry about that this time; after all, this is just a basic study tutorial. Have fun! Support our website to keep all the FREE video tutorials coming. 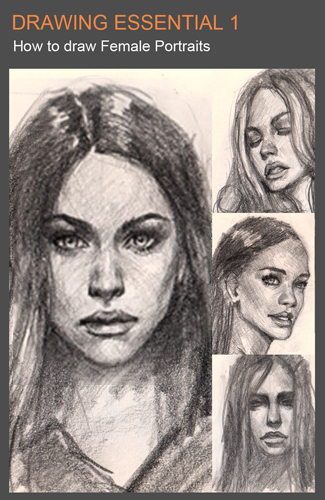 Download premium tutorials if you want more detail how to draw complete portraits from start structure to finished. I recommend getting these two premium tutorials on portraits drawing. These tutorials help many artists. If you are serious, either one will get you start and well beyond basic drawing or digital painting. Each video tutorial are more than two hours long with in dept instruction. If you aren’t happy with the purchases, we will give you full refund. Click the images below for more detail. this is really helpful! thanks! they are amazing! These tuts have helped so much! These video tuts are awesome and EPIC. I have just one question. Every time I do a portrait or something of someone or myself ( I take a photo and that’s my subject for my portrait), my face turns out realistic( sort of, I guess) but sooooo not like the subject I chose. Can you tell me why this is? I want it in slow motion or words!!!! No problem, glade it helps. This…. was such an amazing tutorial! Thanks for the help, omg I find them so difficult to draw. Your instructions were great. It helped me a lot! It look very attractive!